Enhance your toolkit with the best of the best—100+ tested and perfected activities guaranteed to succeed «A treasured collection with some never-before-seen tools and activities to increase participation and retention for your learners. . . . The 'insider's tips' feature helps even the newest trainer facilitate these activities like a pro.» —Jean Barbazette, author of The Art of Great Training Delivery «I believe in the effectiveness of training activities, the brilliance of Elaine's editorial skills, and the street smarts of my ASTD colleagues. They all come together in this brilliant book.» —Dr. Sivasailam «Thiagi» Thiagarajan, of The Thiagi Group; author of Jolts! «What a wonderful book! . . . This is a must-have reference book for every learning and development professional.» —Jack and Patti Phillips, Founders, Chairman and CEO of the ROI Institute, Inc. Workplace learning professionals are always looking for the best solution—tried-and-true activities, ones that work every time, ones that always lead participants to gain deeper insight into their leadership capabilities and potential. The Book of Road-Tested Activities gives you just what you're looking for: well-crafted games and activities that have been put to the test in real training situations and proven effective. 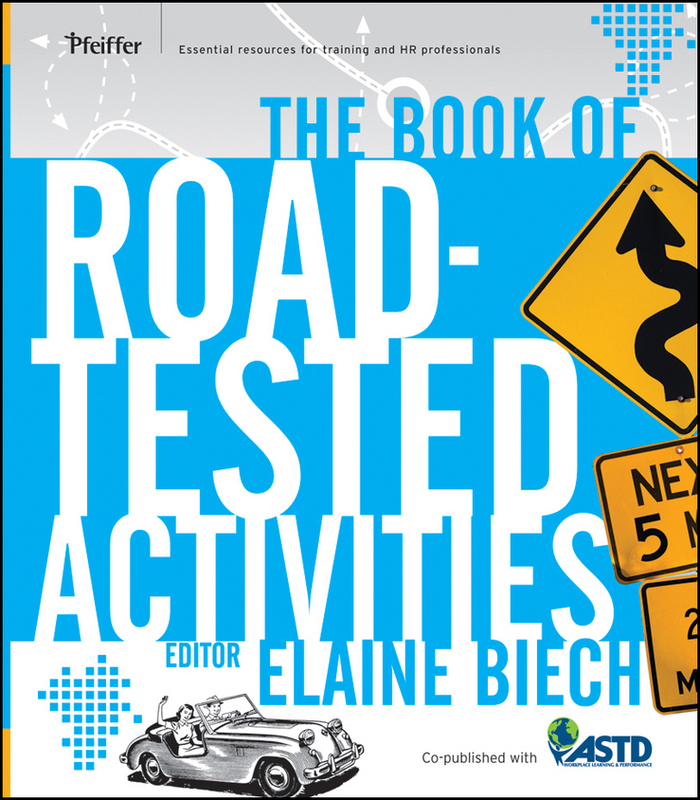 To create this edited collection, training legend Elaine Biech painstakingly selected the very best—more than 100 activities that ASTD training professionals have taken to the finish line with excellent results. Divided between activities geared toward specific workshop topics and multi-purpose training tools and techniques, the book covers: Training topics—communication, listening, customer service and sales, creativity and innovation, teamwork, leadership, and more Tools and techniques—icebreakers, openings, reviews, and online learning, plus unique tools that will add a new twist to your own techniques With both new, innovative activities and classic, dependable ones enhanced with creative variations, Elaine Biech's The Book of Road-Tested Activities provides you with an array of tried-and-true training tools for every occasion and purpose. They'll help you achieve your own stellar track record of successful training and satisfied customers. «The Book of Road-Tested Activities» — читать онлайн бесплатно фрагмент книги. Оставляйте комментарии и отзывы, голосуйте за понравившиеся.